Didn't I tell you guys? And don't these few panels speak volumes? I've been saying for a while now that General Ross is the #1 contender for Red Hulk, and he has been since the release of #600 pretty much sealed the deal for me. 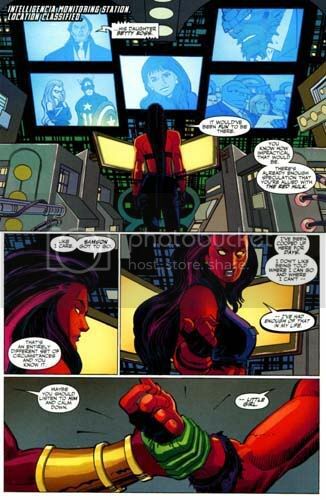 But remember if you will my parting words about the coming of Red She-Hulk, and her identity. It looks like I might be right. Who else would have the dramatic impact that Greg Pak and Jeph Loeb both say she (and presumably her alter ego) will carry in to the book? Who else would shake up the status quo so much? Who else would have genetic traits that would allow her the same type of mutation as her father? And who else would be a likely candidate who satisfies the requirement of being someone who has at the very least been referenced once during Loeb's run thus far? Domino, whose tattered leathers she seems to be wearing, doesn't fit the bill--she's not from the Hulk's side of the MU and hardly fits the paradigm Loeb has set up. She's a decoy and will reappear in #17, mark my words. Victoria Hand may have the hair, but hasn't been referenced in Loeb's run to any substantial degree and is not a Hulk character at the core (not nearly). Marlo Jones hasn't been seen or referenced lately. Jarella was shown as dead in #10, and that would be a game-changer, for sure, but the memories don't match up as she's not from Earth. Who else is a female from the Hulk's previous life? Kate Waynesboro is accounted for in Pak's book, while April Sommers, Angela Lipscombe, Susan Jacobson, and others are pretty much one-off characters, all unreferenced by Loeb. No, the only outlier, who is from a later generation than Red Hulk (suggested by their conversation in #16), who's been experimented upon previously by MODOK, friendly with Doc Samson, and would really shock Banner, Hulk, and Hulk fans? 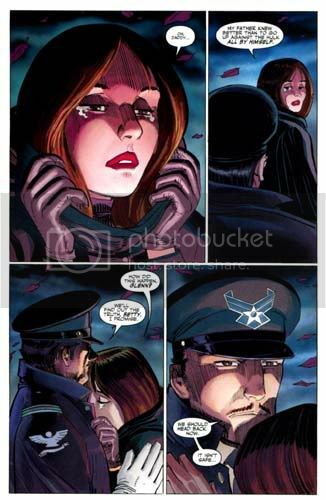 The only answer, friends...is Betty Ross Talbot Banner. I said it before Red She-Hulk was introduced, and I'm saying it again now. I do want to get one thing off my chest. This is in response to some postings made out there that state the identity of Red Hulk must unequivocally be either Glenn Talbot (Betty's ex-husband and late subordinate to General Ross), or Igor Drenkov/Starsky/Sklar/whatever his last name is this week (a.k.a. the spy who refused to halt the countdown back in Incredible Hulk vol. 1 #1). Regardless of what I say, I know there are people who are going to believe those rationales better than my own. So, a word, if I may. I just don't think it's "playing fair" if Red Hulk turns out to be someone Loeb has never directly referenced since (his and McGuinness') Hulk #1. It's not the way traditional mysteries work, and it's not the way Loeb's mysteries work in particular. Look at Batman: The Long Halloween--when you get to the end, the clues and characters were there all along to suggest who the "Holiday" killers were; with Batman: Dark Victory, the sequel, the clues and character of "The Hangman" were also there from the beginning. The same holds true with the Batman "Hush" mystery (in fact, he introduced the character who would be Hush in the first issue of the storyline). Even the most famous of Marvel villain mysteries, Roger Stern's oft-maligned Hobgoblin mystery in the Spider-Man titles, ultimately came back to characters introduced in the early part of his run (not to mention that Kingsley's brother was cleverly inserted as a double for Kingsley to avert suspicion!). Looking at the current series the same way, it would stand to reason the identity of the Red Hulk is someone who has already appeared in the series since Loeb began telling his tale. About a week ago, on The Incredible Hulk Message Board, I wrote a pretty lengthy, stream-of-consciousness missive on my thoughts--and recent epiphany--regarding recent events in the Hulk monthly book, esp. the identity of the much-maligned "Red Hulk" character. Right after my post, Mike Banks, owner of Samurai Comics in Phoenix, AZ, asked me if he could host a version of those selfsame thoughts on his site. I agreed, and tweaked the article over the next couple of days. The version I gave him was a condensed version of the following, the full enchilada, the one that was TOO LONG to publish anywhere else. You lucky readers'll see the full, unedited version below--about 1,500 words LONGER than the one on the Samurai site (that everyone's linking to). Enjoy, and, as always, your comments, rips and tears, are appreciated. "Who Is The Red Hulk?" Well, my friends, THE INCREDIBLE HULK #600, the much-maligned but eagerly-anticipated return to the original numbering, arrived on Wednesday. 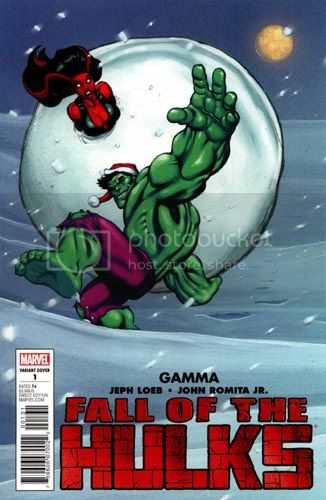 And while the opinions of the issue throughout comic shops and on the Internet has been mediocre at best, there's one thing virtually everyone can agree on: 14 issues into Jeph Loeb's tenure on the book (12 of HULK, one of KING SIZE HULK, and this issue), we still don't have an answer to the question posed above. Or do we? First, a disclaimer: you're about to read an article penned by a Hulk fan of twenty-odd years, owning virtually every appearance of the Green Goliath ever published. (Supplemented, of course, by the INCREDIBLE HULK COMPLETE COLLECTION DVD, now, sadly, out of print!) I read the issue in question, and suddenly started connecting all the dots. While I won't say writer Jeph Loeb has suddenly turned "Plan Nine From Outer Space" into "Citizen Kane," he's gone a long way toward dispelling my doubts about a clear direction for the "Red Hulk" story. 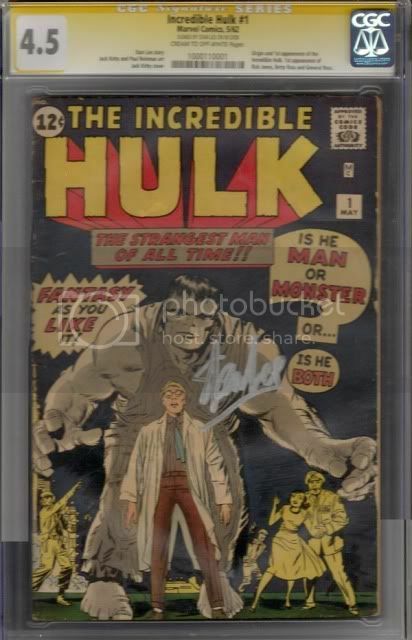 Without further ado, now's the time to put your patented Spoiler Goggles on--to tell the whole story, I have to disclose all the details of INCREDIBLE HULK #600, as well as bring out the hidden points from the remainder of Loeb's run, and even before...all the way back to INCREDIBLE HULK #1 from 1962! Of course, I'll begin where INCREDIBLE HULK #600 begins--the ending of WORLD WAR HULK. The majority of the cast as pictured on the first few pages' flashback to those final moments of the crossover are right where artist Ed McGuinness has them. As the Hulk rages, Doc Samson, the (fatally?) wounded Rick Jones, and General "Thunderbolt" Ross are front-and-center. 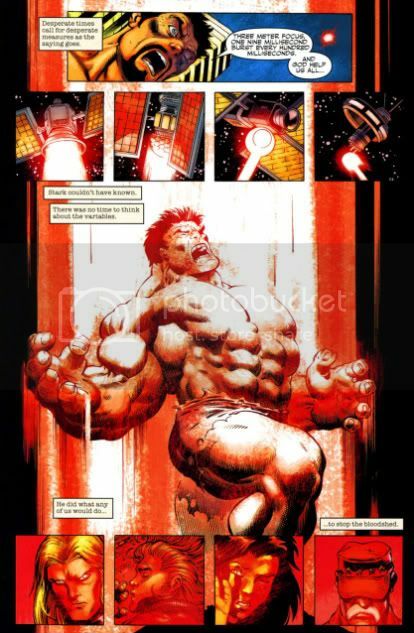 Tony Stark prepares his satellites, noting that he "hasn't measured the effects of the combined rays" and targets the Hulk, enveloping him in a crimson band of radiation, with the others--plus She-Hulk, per Loeb--right in front of him. The result: Banner is human and comatose, and Ross helps S.H.I.E.L.D. agents load him onto a helicopter, bound for the Mojave Desert, where a new Gamma Base stands. Three miles below, Bruce Banner awakens in a chamber, bathed in red light once more. Since then, we've seen the murder of Emil Blonsky, longtime Hulk villain the Abomination, at the hands of a Hulk-like individual in Russia. 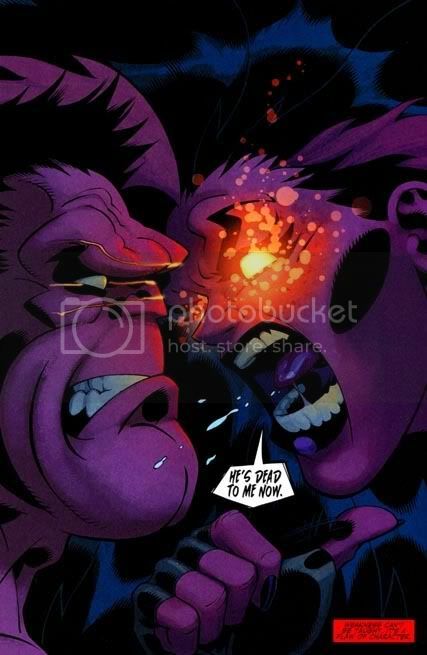 The new villain beat Blonsky to a bloody pulp before pulling a S.H.I.E.L.D.-issue giant gun and killing him. A group headed up by S.H.I.E.L.D. director Tony Stark, consisting of Maria Hill, "Thunderbolt" Ross, Leonard "Doc" Samson, and She-Hulk, examined the scene while fighting off Russia's own super-team, the Winter Guard. Ross broke up the fight, having discovered a young survivor, muttering the same word over and over: "Red." Meanwhile, Rick Jones awoke in another area of Russia, shirtless, pants in tatters, wondering "[W]hat've you gotten yourself into this time?" Over the next few issues, the questions come fast and furious. 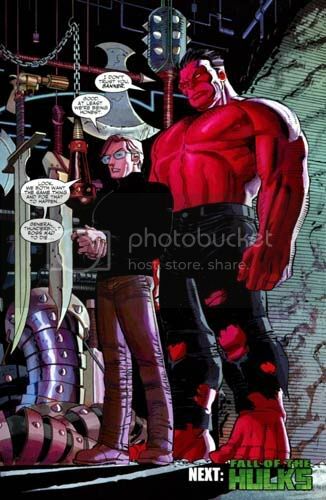 Ross takes Samson to see Bruce Banner, awake, alert, and more than willing to investigate this new "Red Hulk." With Ross, Samson, and She-Hulk aboard, the Red Hulk attacks the S.H.I.E.L.D. Helicarrier, and a computer virus set loose on the 'carrier steals all relevant information on the Hulk. The Helicarrier crashes, Iron Man is mortified, and the three missing people after the crash are Ross, Samson, and S.H.I.E.L.D. agent and old Hulk supporting cast member, Clay Quartermain. Later, Quartermain's corpse is found in the wreckage, as is a gamma radiation-soaked, shredded coat belonging to Samson. Meanwhile, Rick finds his way to Gamma Base and sees Rulk's human self transform...before Rick himself becomes the new, blue-skinned, armored Abomination! Rick falls in battle, but the tremors from their clash free Banner, who changes into the more classic "savage" Hulk and is trounced by Rulk in a battle that spans all the way to the Golden Gate Bridge. Thor interrupts Rulk from killing Hulk, and is himself defeated and left in space, as the new Abomination rescues Hulk, who realizes Rulk's weakness ("The madder Red Hulk gets...the hotter Red Hulk gets!") and beats him. As the Hulk leaves, Abomination--or "A-Bomb" as he seems to prefer--transforms back to Rick, and tries to warn Hulk of Rulk's identity, but is silenced by Doc Samson, now long-haired once more, with the thunderbolt insignia from his costume now scarring his bare chest. 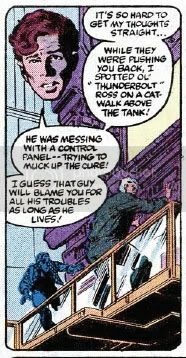 He tells the unconscious Rick it's "not [his] destiny" to be telling such things, and carts him off while Ross taunts the unconscious Rulk for his failures. Of course, there's more, but little is relevant to the question at hand. Rulk fought a Wendigo during his travels to Russia to kill the Abomination, drawing the vengeful ire of a pack of mutant Wendigoes that traveled to Las Vegas, where the Hulk (in gray and green varieties) defeated them with help from Ms. Marvel, Moon Knight, and Brother Voodoo; and She-Hulk, humiliated by Rulk aboard the Helicarrier, organized a new version of the Lady Liberators in a vain attempt to capture Rulk and learn his identity. Then, Rulk revealed he could absorb energy while he met a time-tossed version of the Defenders alongside his own group called "The Offenders." He killed them all, but the Elders of the Universe who initiated the contest restored the status quo. Rulk, at the end, stated: "I realize now that I've left you even worse off than dead. With a broken heart. Just as you left me, Banner..."
That brings us to INCREDIBLE HULK #600, where we can begin assembling the pieces. Therein, She-Hulk ropes Ben Urich into the mystery of "Who is Rulk?" and Ben in turn involves Peter Parker, the spectacular Spider-Man. They travel with Doc Samson to Gamma Base, which stands revealed as not a S.H.I.E.L.D. installation at all but a front for Advanced Idea Mechanics (A.I.M., longtime foes of S.H.I.E.L.D.) and its insidious leader, with whom the Hulk has had a few dealings: the Mental Organism Designed Only for Killing, alias M.O.D.O.K.! Banner and the new A-Bomb are both captured there (though we're not sure how Banner came to be captured--he was fine when last we saw him, whether it be in HULK #12 or SKAAR #12). Samson "hulks out," Rulk appears from nowhere and must battle Spider-Man, and finally, Banner becomes the Hulk, only to have Rulk absorb all his gamma energy, leaving him cured before the base erupts in a ball of gamma-green flame. Rulk keeps Samson and the She-Hulk at the center of the explosion while A-Bomb leaps free with Banner, and Spider-Man frees Urich. Later, Rulk finds and threatens Urich if ever he should start to reveal that which he learned at Gamma Base. The mystery, Urich says, is about much more than who Rulk is. Now, as much as I had reasoned before, INCREDIBLE HULK #600 exploded my theories about Red Hulk, but also, more importantly, it consolidated those theories. It provided the missing pieces of the puzzle, perhaps not as apparent to everybody. What were our earliest clues to the identity of Red Hulk? Clearly, it was his first major act of violence, that being the brutal murder of the Abomination, Emil Blonsky. Per Doc Samson, it was "premeditated," it was "punishment." Of method, motive, and opportunity, we have to look at the one not covered by the "sudden" gaining of incredible amounts of power. Who had the motive to kill the Abomination? Obviously, the answer is, someone who lost someone or something as direct result of the Abomination's actions, and/or someone who felt partially responsible for his actions or origins in the first place. This fact alone should narrow the playing field. The Abomination was a spy at Desert Base (TALES TO ASTONISH #90, 1967; retold in KING SIZE HULK #1, 2008) when he exposed himself to gamma rays. Chiefly, he has become known in recent Marvel history as the murderer of Bruce Banner's wife, Elizabeth "Betty" Ross Talbot Banner (INCREDIBLE HULK #466, as revealed in INCREDIBLE HULK #468, both 1999). Who loved Betty enough to exact this manner of vengeance upon her killer? From there, the clues among the first several issues are plainer. In HULK #2, during the siege of the Helicarrier, Samson separated himself from Ross, who was with Clay Quartermain when Iron Man found them. Now, in the same event, someone introduced a virus into the computer systems. I don't think it was Rulk at all. Based upon INCREDIBLE HULK #600, Doc Samson now transforms--I have to guess thanks to M.O.D.O.K. 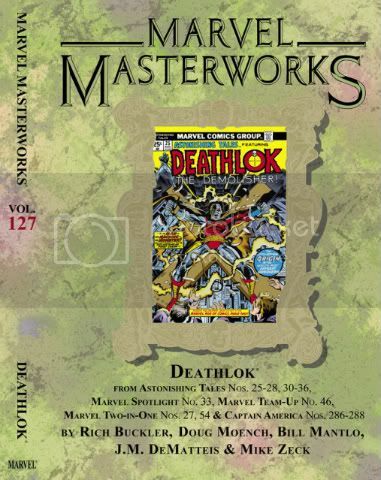 's fooling with the satellites that took down Hulk during WWH--into a larger, longer-haired version of himself, albeit with a more evil personality, who is in collusion with M.O.D.O.K. and can hide things from his alter ego. It was this Samson, on board the Helicarrier, who left the tattered shirt, and who used the virus at the direction of M.O.D.O.K. (As shown during Bruce Jones' run on the Hulk, Samson is no slouch when it comes to espionage and surveillance.) 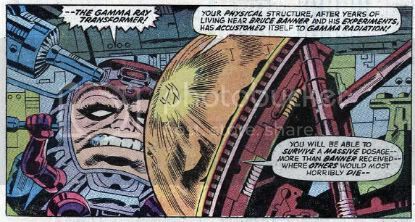 This same Samson shows up at the end of #6 and makes off with Rick Jones, bringing him back to Gamma Base, where we see him in #600. Meanwhile, his short-haired other self remains ignorant of his other self's activities but is markedly shorter-tempered than usual (see #1). 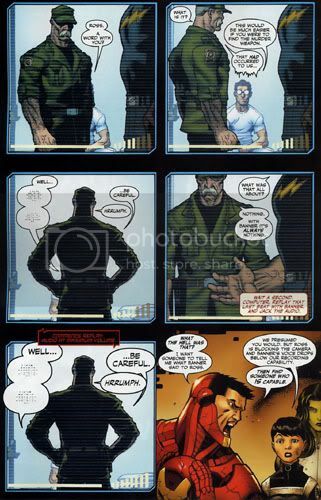 Remember the retinal scanner that identified both Doc Samson and General Ross at the entrance to Gamma Base in HULK #1? It appears again in HULK #3 during the fight between Rulk and A-Bomb, positively identifying Rulk but unable to complete its statement before Rulk pulverizes it. At the very least, this means Rulk's human self is a member of the Base staff; at most, it means that Rulk is one of these two men! Also, during the battle, the Base's defenses are activated, resulting in the emergence of several "Harpy" robots which Rulk destroys. This is one clever hint at this to come, as it serves as a reminder of the past, since the original Harpy was Betty Ross Talbot, off a nervous breakdown (INCREDIBLE HULK #168, 1973). What isn't so easy to recall is who initiated Betty's transformation into the Harpy: none other than M.O.D.O.K., then on a crusade to defeat the Hulk (spanning #167-169). He reasoned that the Hulk's power could put a stop to his plans in the future, so it was best to deal with him sooner than later. How? "All I would have to do is bombard human subjects with larger doses of gamma rays than Bruce Banner received, until I create a creature stronger than the Hulk! However, to survive that much radiation, the successful subject must have a conditioned tolerance to gamma rays--he must be someone who has spent years living or working around gamma experiments--and--the second condition--it must be someone whose mind I could easily control, so that I would not risk being turned upon like Dr. Frankenstein!" 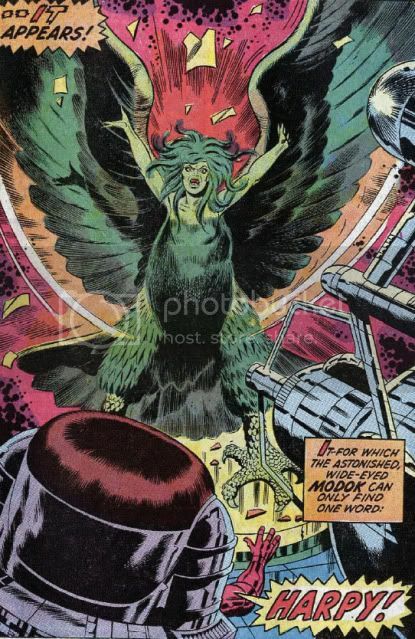 The Harpy's appearance, then, was the first sideways hint of M.O.D.O.K. 's involvement. 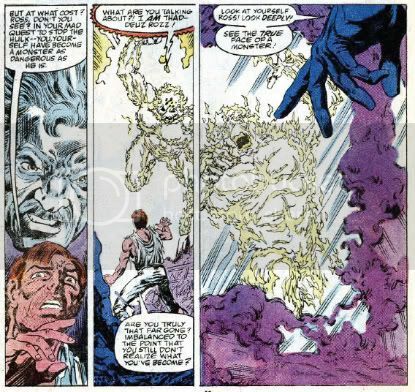 During Rulk's first battle with the Hulk, then, comes the strongest hint as to his identity, as we see Rulk's worldview as shaped by Banner and his monstrous other self: "I'm going to choke the life out of you. Ending years of ruining other people's lives! [...] You wanted to be left alone when you went to war with the entire planet? Trashed half of New York City? [...] But you've never had a friend like me." And, most importantly: "Don't pass out on me yet. I'm not interested in that milksop Banner." Plus: "They might just give me a medal for doing this." And: "For years, all I've wanted was to destroy you." The dialogue clues that flesh out Rulk continue in his battle with Thor in #5: "I've actually studied you, Thor. I don't mind telling you that your battle skills are legendary. But, like Attila, and Genghis, and even the green Hulk--there is always a battle where one man falls and the other doesn't." Another clue in #6, in battle with Hulk: "You will never understand what it takes to be in battle." Of course, you can add the made-up braggadocio between Rulk and the Wendigo in KING-SIZE HULK #1 which brings things into, perhaps, even clearer focus: "Where I come from, we don't tolerate mistakes. Unfortunately for you--that means I'm going to have to make an example out of you. Otherwise, it'll be seen as a sign of weakness. And that's something THIS Hulk will never show anybody." After these quotes, I was confident that the Red Hulk was a military man, committed to showing strength at any cost, scoffing at weakness. 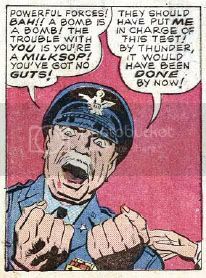 And, hey, where have I heard the word "milksop" in conjunction with the Hulk before--? And so, a lot of old time Hulk fans out there have taken to casting Red Hulk as Colonel Glenn Talbot--Betty's late ex-husband and General Ross' right-hand man...who was killed nearly 30 years ago (INCREDIBLE HULK #260, 1981) and whose name or likeness haven't even been shown in the whole of Loeb's run. So where's the fun in the mystery when most casual fans reading the book wouldn't know who Talbot is? To say nothing of Red Hulk's human identity talking to Rick Jones at the end of #2. (Human Rulk: "I thought you were dead." Rick: "You thought wrong. What a shock.") Would Rick underplay the scene as much as he obviously did here if he saw Talbot, who as far as he knew, had been dead for years? So, even still, Ross would seem to be among the least likely suspects. That is, until you take into consideration INCREDIBLE HULK #600. I remembered a line from when Bruce Banner was in captivity by what we then thought were S.H.I.E.L.D. agents (KING-SIZE HULK): "I wonder how many S.H.I.E.L.D. Life Model Decoys would descend on me if I got a paper cut." Then, in #600, Doc Samson: "Those aren't S.H.I.E.L.D. agents. Gamma Base is not U.S. military....They're upgraded Life Model Decoys. L.M.D. Human skin. Organs. All on an adamantium frame." Each one of those affected so far seems to possess some qualities inherent to Banner, i.e. a split personality at least, and some similarity to particular of Banner's personalities (A-Bomb as the savage Hulk, and Rulk as Fixit). It's likely the energy as filtered through Banner responsible. And when Ross met Rick at the end of #2, I'm sure the dialogue quoted a few paragraphs above rings true. (When carted away at the end of WWH #5, he probably looked dead.) I'm confident, however, something will happen to She-Hulk in the aftermath of Rulk's having exposed both Samson and She-Hulk to the gamma explosion at the end of #600. But, back to Rulk: the fact that Ross is Rulk and hence is in collusion with M.O.D.O.K. brings up echoes of more previous storylines. It was M.O.D.O.K. who helped Ross to commit treason the first time around, releasing (ironically in context of Loeb's story) the Abomination from Project Earthfall to help kill the Hulk and give control of A.I.M. back to M.O.D.O.K., aims which failed in both respects (INCREDIBLE HULK #287-291, 1983-84). He definitely colluded with M.O.D.O.K. prior to his becoming Rulk, as he directed Banner to be taken aboard the S.H.I.E.L.D. helicopter that brought him to Gamma Base. In that copter he sat beside a mustachioed gentleman (thought by some to be Glenn Talbot) who later appears at Gamma Base beside his L.M.D. in #600. Some other points arise with the revelation of Ross as Rulk. 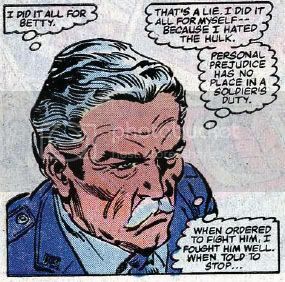 As above, Ross has always had trouble separating his emotions regarding the Hulk from his duty to his country, for better sometimes (immediately following his resurrection by the Troyjans during Peter David's tenure, c.f. INCREDIBLE HULK #456 and 462, 1997-1998), but mostly for worse. Ross hates Banner for marrying Betty and letting her die, more even than he hates the Abomination. Blonsky may have sealed her doom, but if Betty hadn't been around Banner for so long, she would never have contracted the gamma poisoning that led to her hospitalization in the first place. Betty's death led to Ross' gradual reversion to type. How deep did his pathological hatred of the Hulk run? In the past it led to his treasonous activities I referenced earlier, and it led to his employing the assistance of S.H.I.E.L.D. and Agent Clay Quartermain in possessing Zzzax so he could use its power to destroy the Hulk (of which there were also two at the time; see INCREDIBLE HULK #326-327, 1986-1987). So, after this issue, are M.O.D.O.K. and the gamma super soldier plan gone for good? I doubt that. For one, we know M.O.D.O.K. (or, potentially, those above M.O.D.O.K.) had a purpose to keeping Banner dosed with gamma rays, otherwise he wouldn't have freaked when Rulk sucked his power away ("No! You have no idea what you are doing!"). 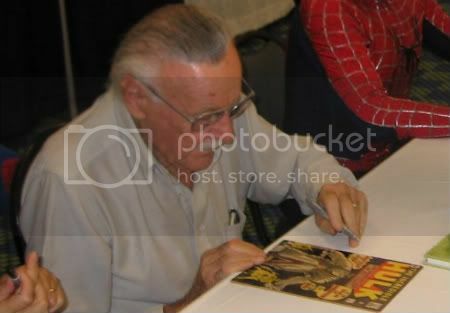 I'm sure we'll see him again en route to Loeb and McGuinness' epic finale beginning in HULK #19 next year. Now we know who Rulk is, as the clues are just too pervasive to not treat as truth. It's a cheat that Loeb employed use of an L.M.D. to cover his tracks, I'll give that. Now I'm finally anxious to see where the storyline goes from here, with what becomes of Rulk, She-Hulk, Samson, and M.O.D.O.K. in the wake of the events of #600. I'm stymied, though, as to what an individual as so obviously powerful as Rulk (only stopped by an enraged Hulk, and Galactus!) needs from M.O.D.O.K. It's the one conceit I have that still doesn't make the whole thing "work." But oh, the big positive: it could just be that Ross has, in curing Banner of his curse, freed the most lethal weapon he could. 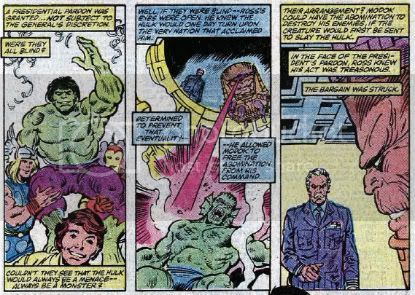 After all, the only thing holding back Dr. Bruce Banner's smarts has historically been the threat of the Hulk himself. 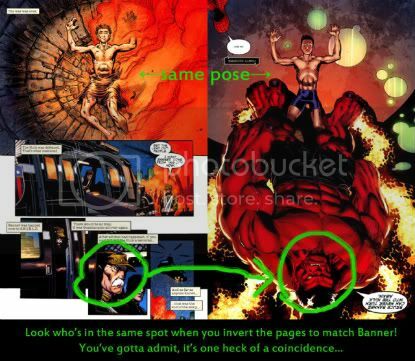 Now, all of Banner's intelligence can be concentrated on designing newer technologies to take down the Red Hulk. The roles of Ross and Banner as hunter and hunted are effectively reversed. As the man said it himself, "Banner is the strongest one there is!" Of course, there's no doubt that by the end of Loeb's own story, Banner will again change into the Hulk, but which Hulk is going to be the debate to rage through 2010. And Betty will return. Mark my words. On to HULK #13, and INCREDIBLE HULK #601, and beyond. 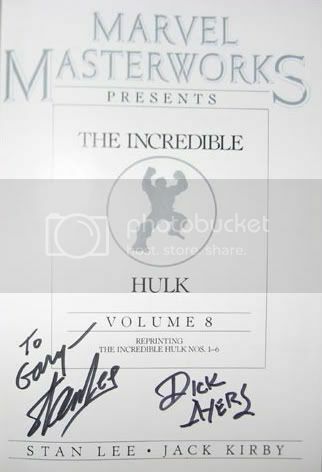 For Further Reading: THE INCREDIBLE HULK vol. 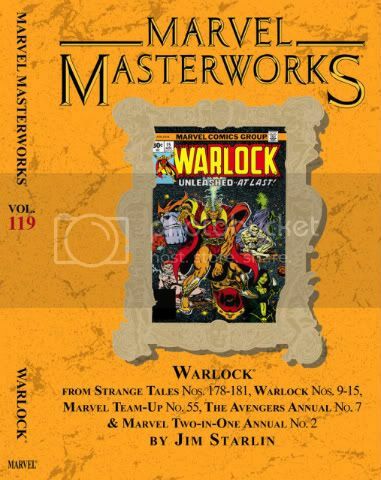 1 #1; TALES TO ASTONISH vol. 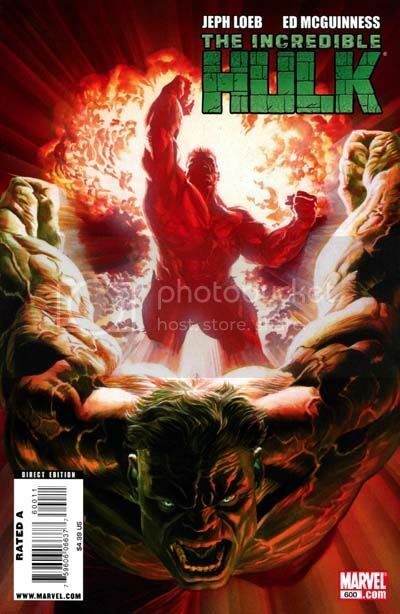 1 #90; THE INCREDIBLE HULK vol. 2 #167-169, 260, 287-291, 326-327, 456, 462, 466, 468, 600; WORLD WAR HULK #5; HULK vol. 2 #1-12; KING SIZE HULK #1.